I'm already 38 years old and I don't see the years, even less for the last 2 years to discover Steem Blockchain. I discovered Bitcoin in 2013 and that's how I started to take an interest in this new universe, while at the same time of my life I was spending my time running my company with large chains as customers. Named Crypto-Evangelist by some, I hope to continue to have fun in projects that always ask to push its own limits. I thank Sylvain for having made me discover the Blockchain STEEM. I like to communicate with others. I am French and I was born in 1975. My job is a nurse and I spend my life helping others. We know the enormous potential of STEEM and we wanted to create @cleanplanet to help save our planet from human environmental disaster. The association of the 2 characters match. We have already organized a consistent STEEM event this winter "Les 12 Heures de @steemauvergne" with some success. Our discussions and our ambitions have led us to understand that the STEEM Blockchain can have its impact in raising ecological awareness. We created @cleanplanet, it belongs to you. For the launch, the curators team @cleanplanet is assured @yann0975 and @french.fyde. In the future, a team based on the number of participants in the Clean Planet movement will be created. Curators view and appreciate the content related to #cleanplanet. They reward every eco-citizen gesture with a valuable upvote. We plan to set up a "special curation" show on our channel discord. This space is intended both for curators and at the same time for everyone, but under certain conditions. Everyone will be able to visit this show and see what they say and see why such content has been or will be voted up. Only the curators can interact with each other. 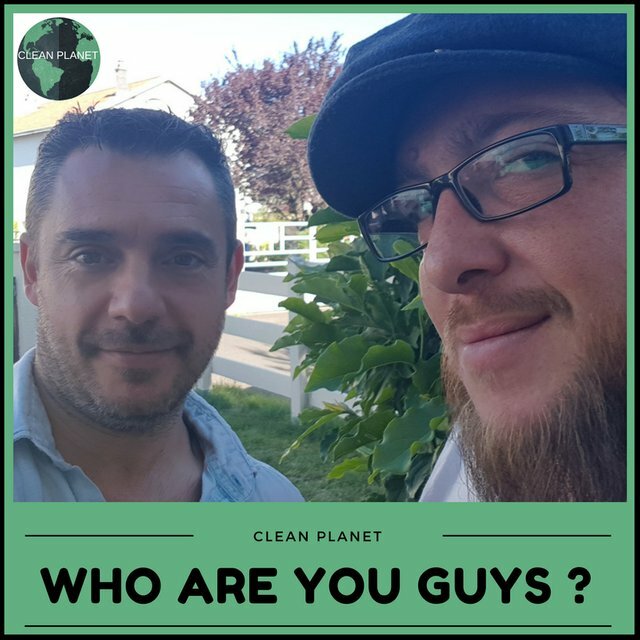 @french.fyde and @yann0975 are the only instigators of @cleanplanet. Gathering Delegations, to reward citizen actions to collect vacant waste in Nature is their own reflection. Decisions, as for the @cleanplanet entity, will always be joint and by mutual agreement. No patent is registered and any citizen action of the same type can only be supported by @cleanplanet. You alone represent your own person and @cleanplanet cannot be held responsible for and in your actions. Feel free to come on our discord to promote your action to the clean planet community.